Jerry Navarro is an accomplished bassist, music producer, composer, and one of those well-rounded musicians who can move from upright to electric bass, from his beloved jazz, to funk and then mariachi, from bluegrass to reggae, from rock to country to soul. La Voz III Singing Competition will be held every Tuesday evening from 7 - 9 through May. Yamil Conga is a percussionist and drummer with over 20 years of experience playing a vast array of musical genres in live venues, music videos and in the studio. Knowing that music has no boundaries, his mission is to make people fall in love with the art of live performance and foster a new generation of percussionist. Yamil Conga plans to make his very distinct mark in Nashville music and entertainment while growing his brand internationally. 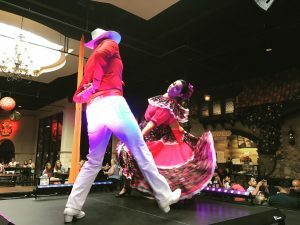 Salsa Night at Plaza Mariachi! 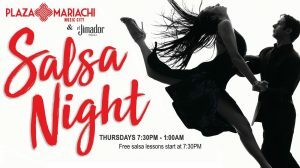 Thursday is Salsa Night at Plaza Mariachi! Come dance the night away to your favorite Salsa music played by a DJ. The dancing will last from 7:30 PM (With FREE dance lessons) until 1 AM. 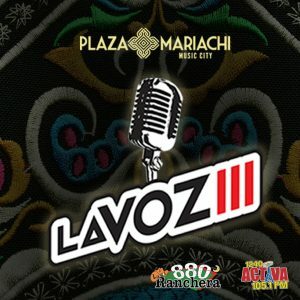 Plaza Mariachi is your Salsa Club every Thursday, Friday and Saturday night! Gustavo Guerrero is a Honduran musician based in Nashville with an acoustic-alternative sound that reflects his Latin American influences and roots. Typically accompanied by an acoustic guitar he covers a wide variety of music in Spanish & English with his own original sound and touch. 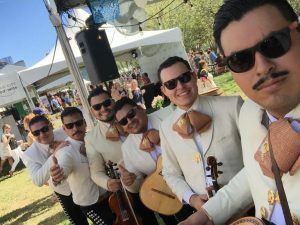 Mariachi Sol Azteca will return this Friday to perform from 6 PM - 7 PM and again from 7:45 PM - 8:30 PM. We will have a very special performance from Internacionales Conejos back by popular demand, a private, ticketed event on Friday, April 26. Tickets are available for presale at Mazfresco. Come to enjoy this Guatemalan Party! The Yosvany Cordero Trio will perform this Saturday from noon until 2 pm. Mario DaSilva duo will be performing from 2:30 until 4:30 pm this Saturday afternoon.